Hello all and Happy 2012! As you may have already noticed, the world did not end (as much as stressed middle school students may have hoped for it). Although it’s a bit late, I guess I’ll start this first post by just talking about how I spent my New Years Eve. I am a human planner. I like to schedule days out to get the most out of them and I tend to get a little irritated when things deviate too far from the original plan. This is not to say that I’m not spontaneous or that I plan out every day, but when it comes to holidays I don’t like to leave too much to chance. In my past experiences, when you are not prepared for holiday activities among the masses, things will never turn out the way you want them to. This year I really wanted a nice modern Korean New Years Eve celebration. I say modern because the celebration of the first day of the new year has not been celebrated in Korea the way it is in the U.S. and had only started catching the attention of the younger generations a few years ago. 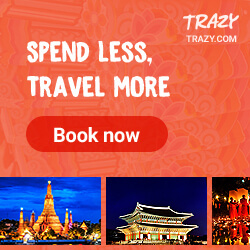 While my boyfriend is not too big into traditions, I am, so this year I did my research, put together an itinerary and was prepared (or so I thought). Sounds simple right? (Not included, the morning walk withe dog below). I wanted a nice night out for the two of us; nothing too hectic like clubbing or bar hopping. So after a nice relaxing day in and a walk in the park with my puppy, we headed out to dinner at around 6pm. For dinner we decided on Agra an Indian restaurant in 명동 (Myeongdong). This is hands down our favorite Indian restaurant. It’s a bit on the pricier side, so we don’t go there often, but it is definitely worth it! Afterwards, we walked it off with a little bit of light shopping and photo taking. That evening the “Free Hugs” campaign was going strong with dozens of students hulled together offering hugs to anyone who was in need of a little holiday cheer. For anyone unfamiliar with the campaign, it is an international movement in which people offer hugs to strangers in public places as a random act of kindness, simply to make others feel better. Occasionally someone would ask for a little more than a hug to which people would start chanting “뽀뽀해,” meaning “give him a kiss.” It’s pretty fun to see the outpouring of smiling faces. Around 10pm, stores started to close, so we made our way to Krispy Kreme Doughnuts for some coffee and little shelter from the cold. 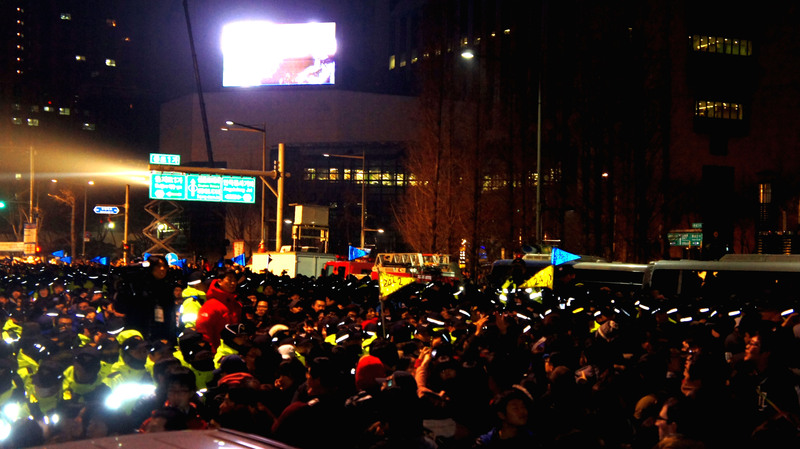 Our final destination of the old year was the countdown festival in 종로 (Jongno), which was pretty close. We headed out a little before 11pm since we didn’t want to be out in the cold for too long. In hindsight, this was our first mistake. Once we arrived, we were pretty much able to follow the crowding mass of people heading to the same place. We got to the actual location at 11:30pm which was barely enough time to take in the chaos that was surrounding us. Traditional Korean drummers and dancers moved freely through the street and as we continued forward towards the main event stage. 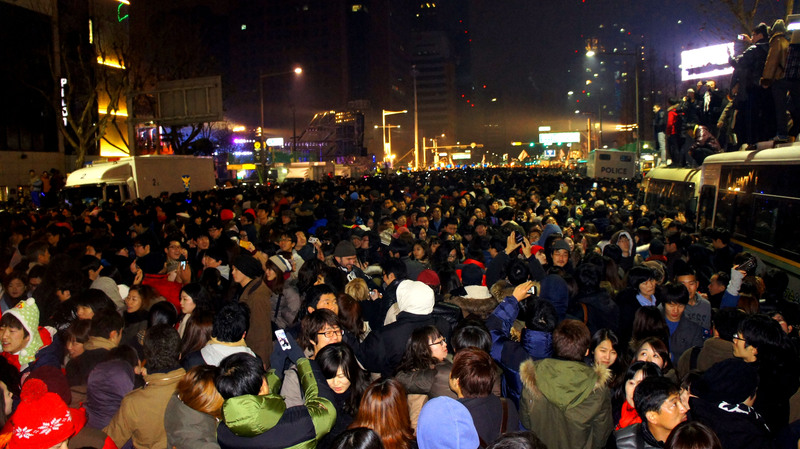 But eventually the flowing mass of people became too thick and we came to a congested stop. 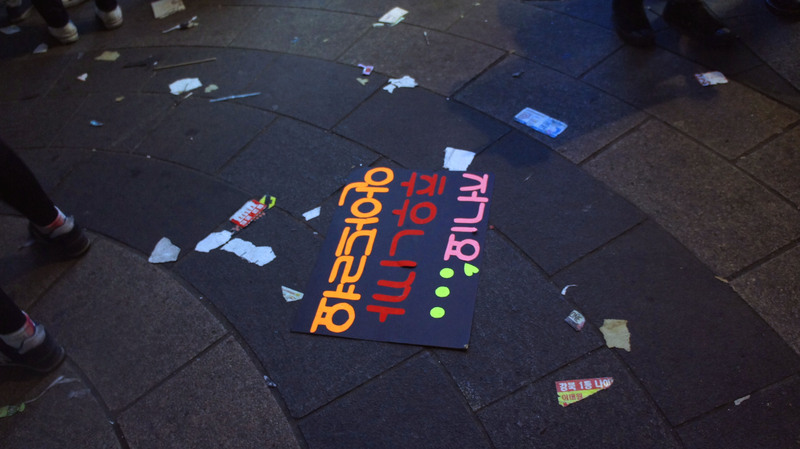 There was a stage with performances by some popular artists going which was blocked off by security guards. In addition the streets were lined with dozens of police buses. But the excitement quickly turned into an overwhelming claustrophobic feeling. One of the reasons I wanted to go to this area was because there is the 보신각 (Bosingak Bell) that they ring only at midnight on New Years Eve. 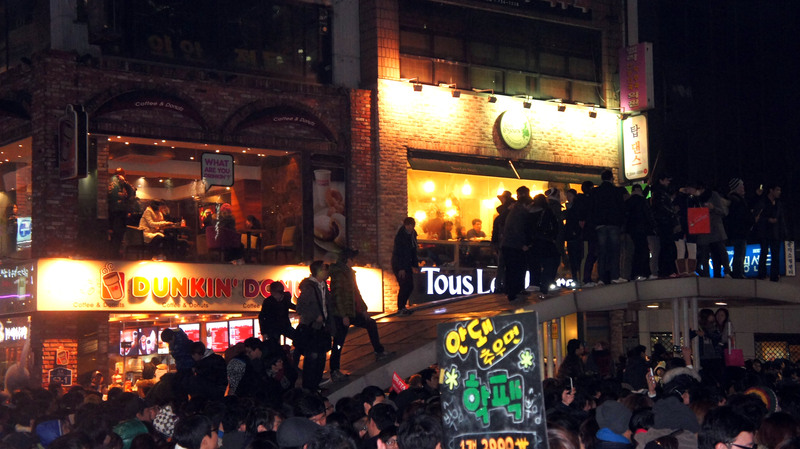 Supposedly, it’s so loud you can hear it all the way in 동대문 (Dongdaemun). But when midnight struck… nothing. It was so noisy with screaming people and drumming we couldn’t even hear the countdown till it got to 5. Then at midnight the fireworks went off which must have aroused people’s inner gremlins because they started climbing up police buses, subway roof entrances and anything else remotely elevated off the ground. The shocking part was that it wasn’t just foreigners or young people, but really old people too. 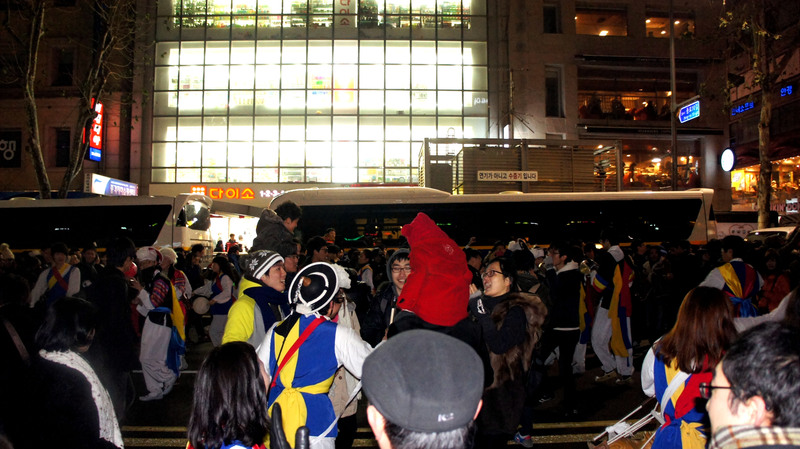 Drunk or not, people were clambering up the buses to get a sight of the crowd. If that’s not a recipe for disaster I don’t know what is. The funny thing is that these polices buses, which were assumed to be empty because there was no response for nearly 15 minutes, began to open their doors and release crowds of police officers. Needless to say, they had a very hard time getting all the people down. The flood. Within minutes after the countdown EVERYONE started filtering out. People were pushing and shoving, not to mention shooting off fireworks into the open crowd. Young drunk people were cursing at old mothers and their families. Shoes were lost, purses broken, friends separated. Everyone was desperately struggling to get out of the area, like it was the final hours of the Titanic. This is in no way an exaggeration. It was really awful. Finally, my boyfriend and I made our way to Dunkin Donuts and sat on the second floor overlooking the chaos. After coming out of my initial shock, we were able to enjoy the fireworks from a safe distance. Finally, the police forces came out like a wall of stormtroopers and literally pushed everyone out of the area. It was pretty amusing. The subway lines were running long enough to get us pretty close to my place. 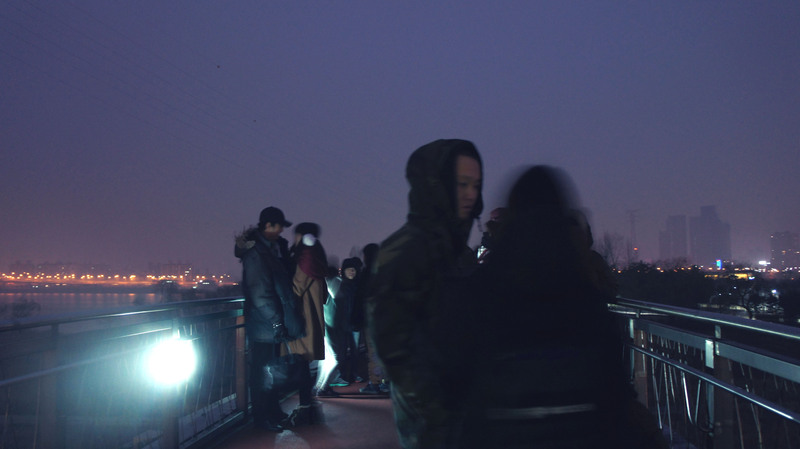 So we went home rested up for a few hours then headed out at 6am to watch the first sunrise on the 선유도야경 (Seonyudo Bridge) overlooking the Han River. In theory the idea was lovely and romantic, but in actuality it was exhausting and blistering cold. There we were, standing on the bridge with about a dozen other shivering people waiting for a 7:30 sunrise that would never come. The sky brightened and some balloons were released, but the fog was so thick that it was impossible it see anything. We gave up and quickly rushed to the nearly 7Eleven to warm our bodies up with some ramen. Then when we were finished, we could finally see the sun. Like some perennial joke at 8:30 (an hour after sunrise) there was the sun, high off the rise and staring down through a bitterly cloudy sky. Seriously?! Needless to say it wasn’t the NYE I was hoping for, but it was definitely an experience. Next year, however, I think I’m going to keep it a little less traditional and little more laid back. Happy Year of the Dragon everyone! Tags: Agra, Bosingak Bell, Culture, Free Hugs Campaign, Jongno New Years Eve, Korean culture, New Years Eve 2011, New Years Eve in Korea, Photography, South Korea, travel, Traveling in Korea, Year of the Dragon. Bookmark the permalink.